The end of December has arrived. And with that, today we launch our final December gift set giveaway devoted to The Smoothie Maker! 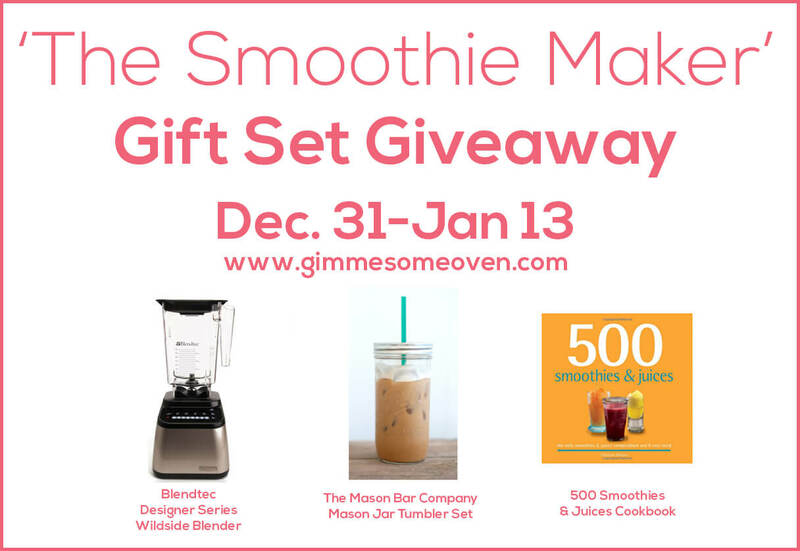 I am super excited that this giveaway features one of my absolute favorite appliances in my kitchen, plus some super-cute new ways to serve and transport your smoothies, and one of my best go-to cookbooks for the topic. So much smoothie goodness! So if you love to make smoothies at home, or if you are hoping to learn how, this giveaway is for you! Three lucky winners will bring home some smoothie goodness, so be sure to enter soon. Don’t forget to also visit the other four Gimme Some blogs (Film, Life, Reads, Style) to enter the other giveaways happening right now. Cheers to a great month of giveaways! I am beyond excited that we are giving away one of my absolute favorite centerpieces in my kitchen — a Blendtec Designer Series Wildside Blender! Blentecs have been all the rage recently, and with good reason. 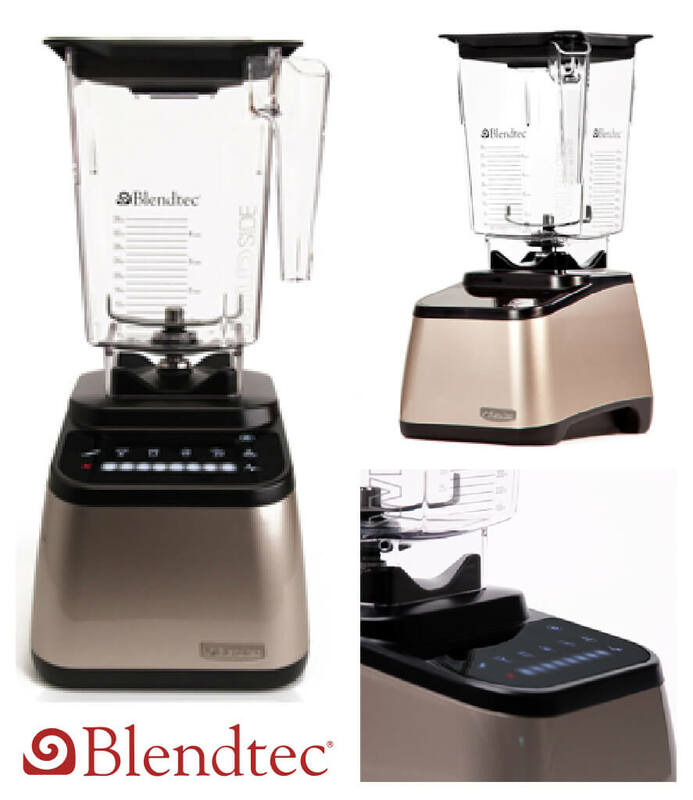 These blenders can seriously do just about anything!! I was amazed how many uses I found for my Blendtec once I realized all it could do. The Designer Series Wildside Blender will blend batters, crush ice, juice, or blend ice creams, soups and of course…smoothies…and so much more. I have even been known to make hummus in mine! And I love the fancy design that lets you control the speed with just the touch of your finger. (So simple – you can literally just slide your finger up and down on the touchpad!) Also, with 1560 watts of power, you can see why this is a machine that the pros trust. It’s sleek, powerful, and basically, brilliant. 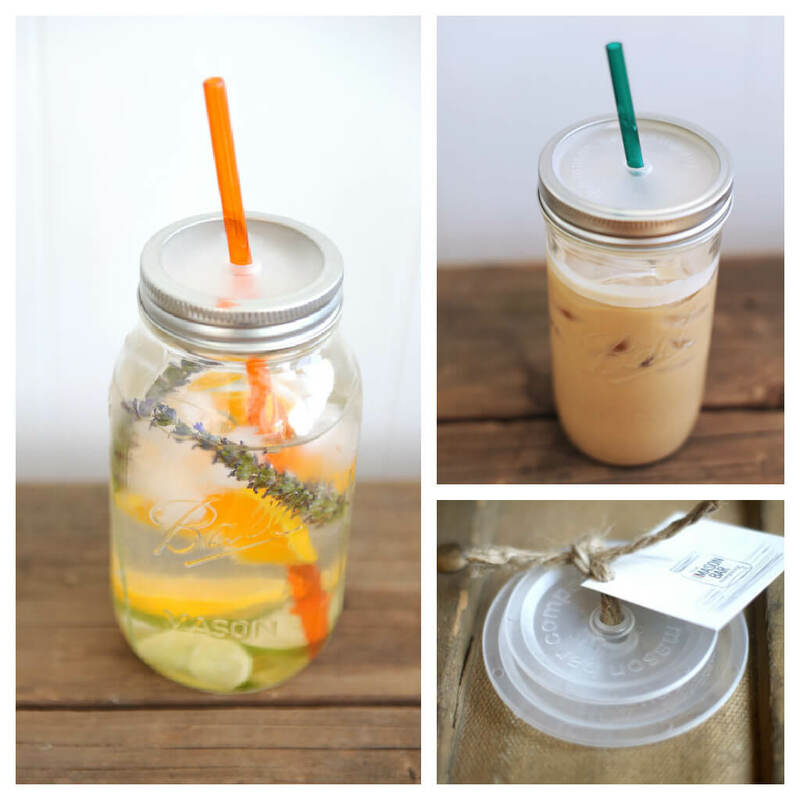 For all of you out there who love pinning mason jar photos on Pinterest, and for those who would just love a cute and eco-friendly new way to transport (and show off!) 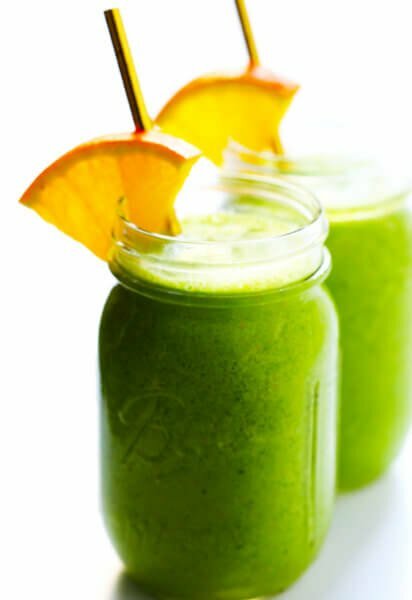 your beautiful smoothies, I am so excited to introduce you to The Mason Bar Company! The Mason Bar Company also has many other great products in their shop, including a lid and straw set if you already have mason/canning jars at home, so be sure to check out their great Etsy shop. Then also follow The Mason Bar Company on Facebook and Twitter. 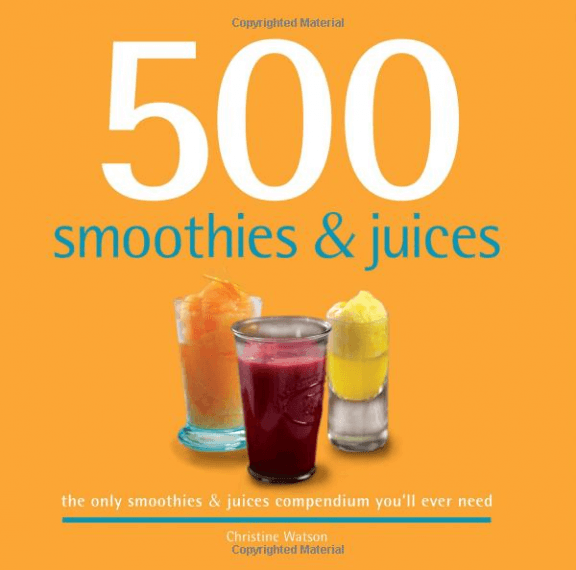 If you are looking for a new cookbook for some smoothie inspiration in the new year, 500 Smoothies & Juices has long been one of my favorites. 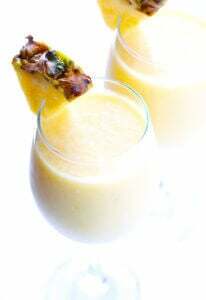 The recipes are organized into categories for Simple Smoothies, Breakfast Blends, Fragrant Infusions, Health Tonics, Juice Boosts, Blends For Kids, Milkshakes, Thick & Frosty, Naughty But Nice and Boozy Blends. And let me tell you — they are yummy! The cookbook also features beautiful photography, all sorts of helpful tips, and countless ideas for fun new twists on a simple drink. I love it, and hope you will too! One lucky reader will win a copy. But this would also be a great gift to give yourself (or a friend!) as we embark on a healthier new year. Disclaimer: All giveaways have been provided by the brands listed. I was in no way compensated to host these giveaways, and all opinions are my own as always. This post contains affiliate links. 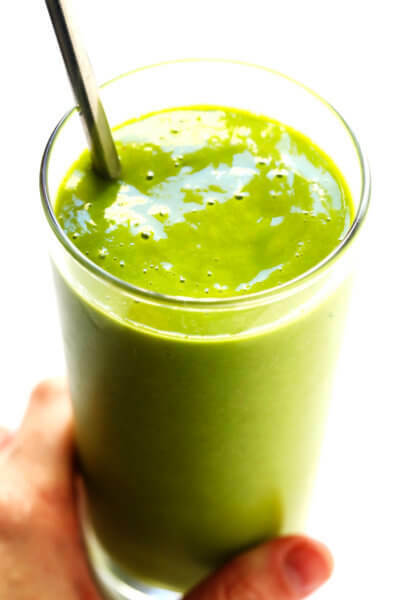 Mmmm, smoothie, what a delicious way to start your day!